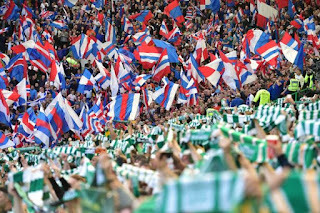 Ibrox Noise: A warning for Rangers? Rangers fans could be forgiven for having high hopes going into Parkhead tomorrow. With Celtic in something of a malaise and our club riding high, hopes are even higher than early March that we can get the result we crave. Even in March, when Josh Windass (remember him) opened the scoring, we truly started to let ourselves believe. Celtic at the time had not been in great form either, and a win for Rangers would convince a lot of us a title race was on. As we know, while our side did put up a better fist of it in that match, the lungs and hearts collapsed with 35 minutes to go and there was just nothing left once Celtic had themselves in front. It was one of the biggest aspects to jump out at the then-in waiting manager Steven Gerrard sitting among the directors – how Rangers’ lack of fitness meant they were dead on their feet with half an hour still to go. Celtic are a wounded animal right now, like they were in March, and Bears expecting our side to win this match based on that are being a touch premature. The fact Rodgers’ men still delivered a win in Govan is testament to the momentum they’ve built up over the past seven years, and complacency from Rangers would be absolutely deadly. 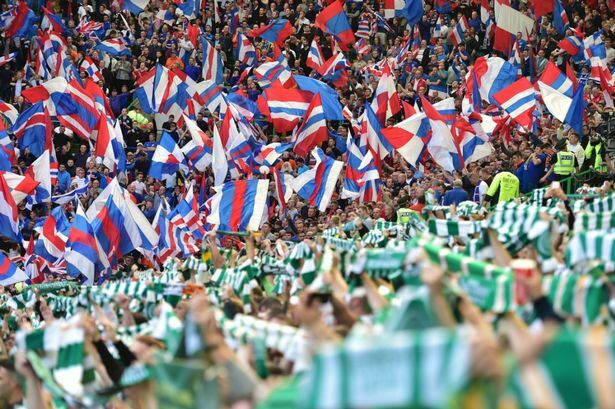 Make no mistake – Celtic and their fans are absolutely aching to win this one, to, and I quote, ‘put us in our place’. They’re a weaker team than they were, yes, and momentum is currently with Gerrard’s Rangers, but that counts for nothing on Old Firm day. In short – take nothing for granted. We respect the team we will face, we will not fear them, but we’re acutely aware that they’re the champions seven years running and that wasn’t a fluke. They know how to win, and Rangers must be at the top of our game and then some to get a good result tomorrow. Is that a Celtic fan writing to try to put doubts into the Rangers players minds. He has failed to do that, if that was his plan. Gerrard will have ALL HIS PLAYERS FOCUSSED ON ONLY ONE THING: WAYS TO BEAT CELTIC!! He will have shown all his players where Celtic look weak, and he will, as always have them playing at 100%--not the 50% that they often played at last year. This time his players are actually fit--and that may be a shock to some of the Celtic players. No Celtic fans writing on here ‘unknown’ - just us warding off complacency and presumption. The other replies appear to accept the point. Show some respect please rather than slurs. Aberdeen looking like dropping points, hopefully Livi nick somethinf off of hibs, smash them tomorrow and it'll be a belter of an end to the transfer window, 55 LETS GO!! Two down one to go, get in there Livi!! I'm obviously desperate for a win but after Thursdays tough night I would think a draw would also be a good result. Agree 100% Ibrox Noise. This is a massive test for most of our players who haven't played in an old firm. However, if we get the heart and soul that 9 players showed in Thursday, then we are in with a shout. It's 50/50 for me and just pray our players rise up to the occassion and 11 players stay on the park! Id be happy with a point after last seasons gubbings. I dont think Stevie will let anyone's heads drop so you never know. Big defence is what we need. I thought "unknowns" were stopped on here a while ago? I just wonder when the referee will step in to deliver us our next blow! Good luck lads. Do us proud, win lose or draw. We will win tomorrow. That is all. A win is on the cards tomorrow i think. I would be disappointed with a draw especially with the sheep losing and Lennons lot also. Brendas mob will try and prove a point though but i do think SG and this Rangers team are just about there. 2-1 Gers. we should get some footage of our players going from bus to the ground and highlight the horrendous abuse our players get walking into that scum dome, and Glasgow's finest standing watching and doing nothing,this has being going on for years and nothing gets done. The pressure is all on them. Nae fear RANGERS let's dae this. BIG lafferty can tie a scarf tae the crossbar haha! c'mon GERS. He's red and blue a class above or two steve gerrard steve gerrard! we should awe sing gerry sinnamons tune tae discolights fir a laugh.